Last month, the Office of the National Coordinator for Health IT released the first nationally representative survey on electronic health record adoption and health information exchange among skilled nursing facilities. The report found that, despite an uptick in adoption, SNFs continue to lag behind acute care settings in EHR and HIE use, underscoring the challenges of effectively implementing records technology in post-acute care settings. While many may view being late to the EHR/HIE game as a negative, it can also be viewed as an advantage for long-term care providers. After all, late adopters have the unique opportunity to learn from hospital settings and other early adopters. Physician EHR satisfaction varies greatly depending on with whom you speak. However, a 2015 Black Book Market Research report indicated an upward shift in physician experience across the large practice and clinic sector, since first measuring EHR satisfaction six years prior. This is good news for late adopters in post-acute care, and here’s why. The transition to EHR technology was not an easy one. Many will argue the transition still isn’t easy, but perhaps a look back at just how far we’ve come will provide hope for post-acute care organizations that have lagged in adoption. Just 10 years ago, as EHR technology really began making its way into hospitals and health systems, most doctors were still dictating and having things done for them. Older physician groups relied exclusively on handwritten documentation and paper charts. It is what they were used to. Moving to a software platform was unfamiliar territory and met with resistance. The learning curve meant less time with patients or extended work days to catch up with computer work that wasn’t completed in the office. The unfamiliarity of it all played a significant factor in low physician (and staff) satisfaction. As hospitals began more widespread implementations, EHR use was forced on physicians, further contributing to low physician satisfaction. Fast forward several years and to the next generation of doctors who are more tech savvy —using smart phones, tablets and general computer technology in nearly every aspect of their lives. Even older physicians who were forced to use an EHR system are much more comfortable with technology and how it works. This uptick in the acceptance of technology has contributed to higher physician satisfaction. However, the biggest contributor to increased satisfaction is likely advances in technology. Physicians and their staff have been vocal about their needs, and software providers have listened. As a result, vendors have evolved their technology to be much more user friendly. For example, users can now navigate with far fewer clicks or drill down screens than in the past. Drop down menus and more intuitive technology have created a better user experience while reducing the possibility of errors. Modules have been developed to extend the functionality of EHR software, providing users with valuable business and financial insight through analytics, easier ways of doing things and safety checks to improve patient or resident care. The advances in EHR technology and increased physician satisfaction are good news for the healthcare industry in general, and for post-acute care providers in particular, which are more likely to be late to the EHR game. One prime benefit is that latecomers are able to learn from their peers and have an increased probability of “getting it right” the first time around. While EHR technology has come a long way, there is still much work that remains to be done, particularly when it comes to interoperability. The next big step is to break down the silos so EHR information can be easily accessed and shared across HIEs and among care providers including hospitals, skilled nursing care facilities, group homes and other post-acute care settings. Interoperability is essential so a patient’s or resident’s medical data can follow them across care settings. Breaking down the silos is no easy task, especially because there are multiple viewpoints on how this can be accomplished—all of which are very costly. Being late to the game enables long-term care providers to talk to vendors to find out what type of integration they enable. 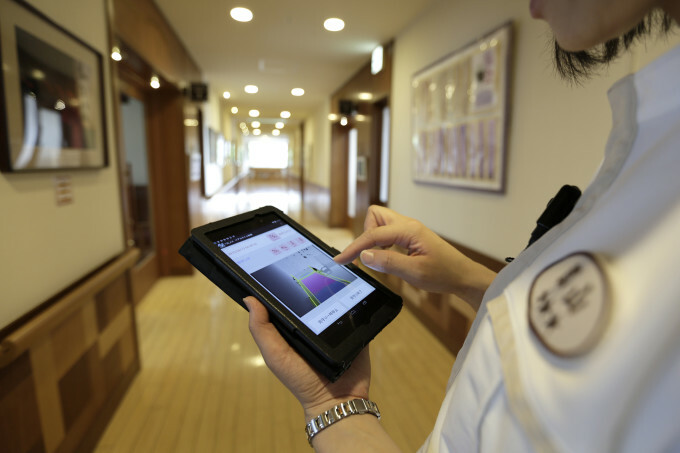 Ask the same of other hospitals or skilled nursing care providers—what are they doing with their technology? Other advancements in technology, such as easier user interfaces, applications that run on multiple footprints and better interoperability, offer many benefits to providers who may have waited to implement EHRs. While there are clearly benefits to being a late adopter, post-acute care providers and other providers who are only now considering such technology will face some challenges. Similar to early adopters, they must research technology and endure the transition to electronic records which includes training and supporting busy workforces. However, the benefits associated with easier, more consistent access to information as afforded by EHR systems in the post-acute care setting are crucial for organizations that want to provide seamless, optimal care.